Coreopsis grandiflora ‘Early Sunrise’ produces semi-double, deep yellow flowers that flush to orange-yellow near the center. They grow to a height of 18 inches tall. An All-American Selection Award Winner! 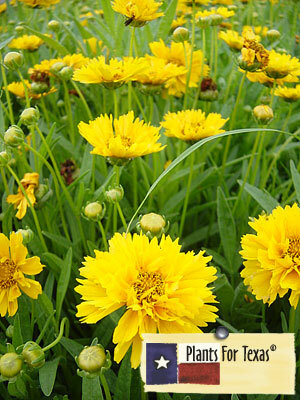 Coreopsis grandiflora ‘Early Sunrise’ is part of our Plants For Texas® Program, meaning it was Texas Grown, Tested in Texas to perform outstanding for Texas Gardens.